Yes, I have my YaYa sisterhood. 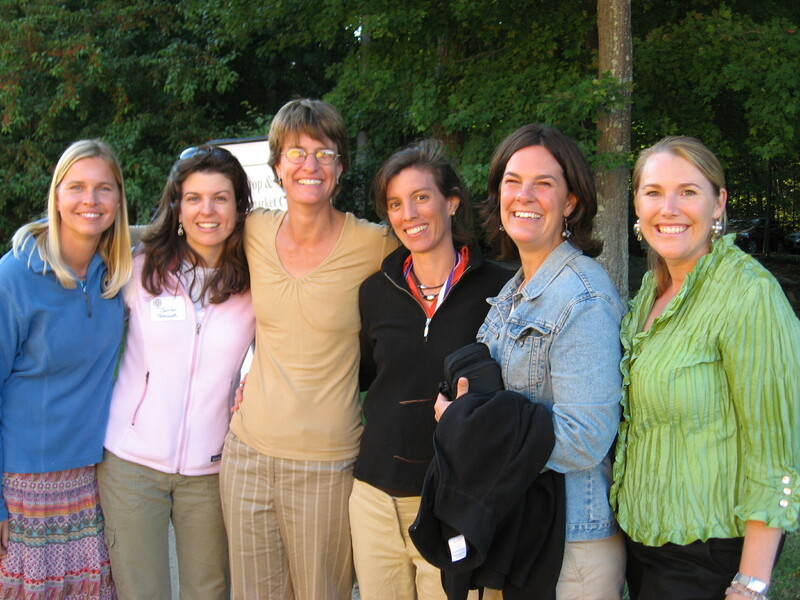 These are 6 fabulous women brought together 11 years ago by my sister. Some of us knew each other and some of us didn’t. Now we vow to spend at least 1 weekend a year together, no significant others nor children. The relationships outside of that weekend vary a great deal but when we come together, it’s really amazing. So we planned a YaYa weekend for 2 weeks after Aidan’s birth. Since he would be a nursing newborn, he would be allowed to attend. I would be surrounded by women who would feed me, rub my feet, and give me space to rest or cry or whatever my hormones dictated. Aidan apparently wanted to put the YaYas in their place and decided to stay in the hospital for 3 months. I would have to miss the weekend. It’s an all for one deal so if one person can’t make it, we reschedule. The hospital was geographically removed from my YaYas and family and friends. Since YaYa was cancelled, my sister planned to meet me at the hospital for lunch on that particular weekend. I was leaving the NICU, rounded the corner to the elevator, and there they were – all of my YaYas. I’m getting choked up 9 years later writing this. I took them one by one into the NICU to meet Aidan. Then they took me out to lunch, breaking the hard and fast “no husbands” rule to include Garreth. And here’s the funny part – my sister just had my birth pictures developed. They’re the kind you might see in a medical journal as opposed to hanging on the wall. We passed them around the lunch table, yes, tacky, I know. Three of the YaYas may have been traumatized as they hadn’t given birth yet. They then offered to take me for just one night away from the hospital breaking the “required two night” rule. As we drove, we passed a prison not far from the hospital. I couldn’t help but feel like I was breaking out, running for my life, desperately not wanting to get caught and hauled back. So away with my YaYas I went, deep undercover for one night as a regular mom. What a beautiful story. You were very lucky to have them there for you. I allowed only two friends to come see us at the NICU. One of them took me and Dave out to dinner, and I’ll never forget that night. It stands out in the hellish blur of our weeks in the NICU. I hope you continue to enjoy the YaYa weekend for many years to come.